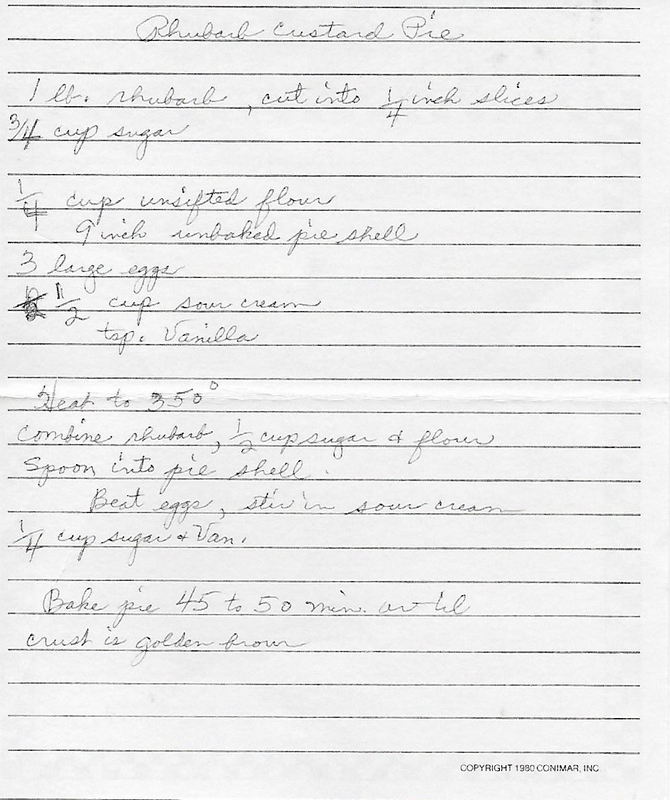 This recipe for Rhubarb Custard Pie was on the back of the recipe for Rhubarb Crumble. I’m really glad I turned it over and looked on the back. 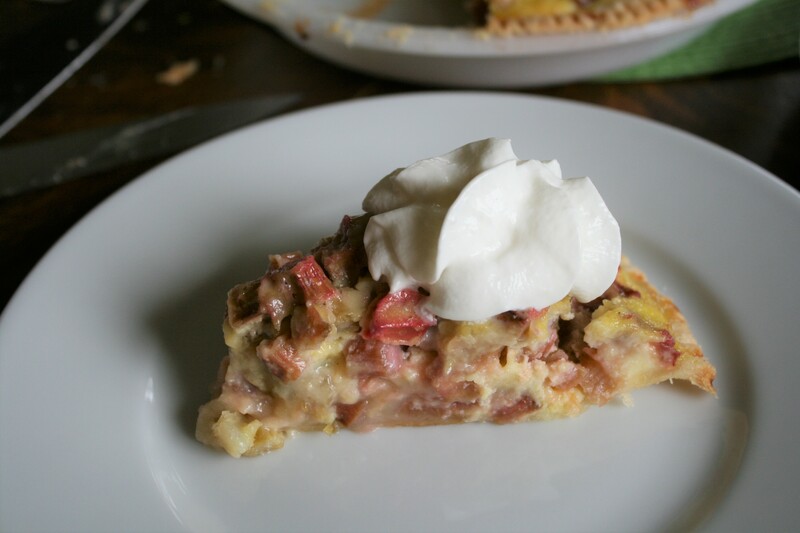 The rhubarb is just about gone for this year, but I still have plenty of recipes left to try next year. There are at least 3 more rhubarb pie recipes in the bunch, not to mention all of the other desserts, and I think there are several rhubarb recipes from Grandma’s sisters. We’ll have enough to keep us in rhubarb treats for years yet! 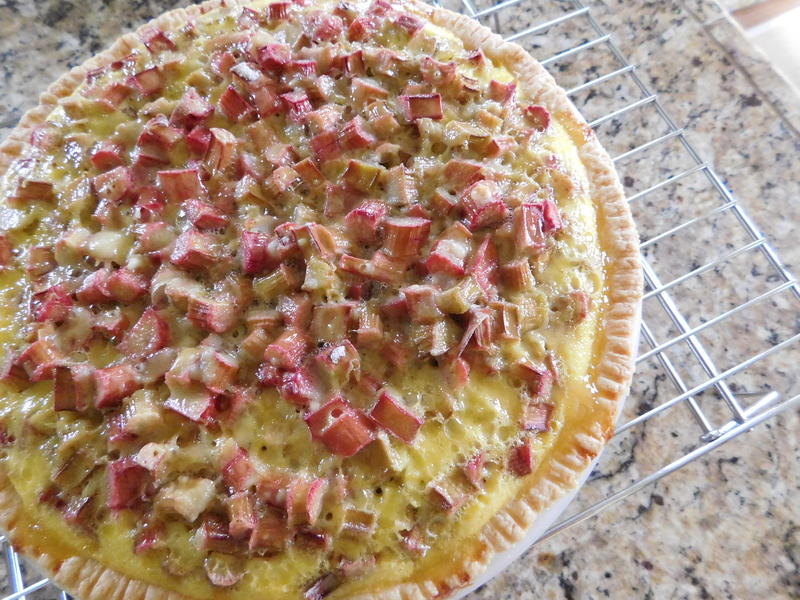 This pie is full of rhubarb! 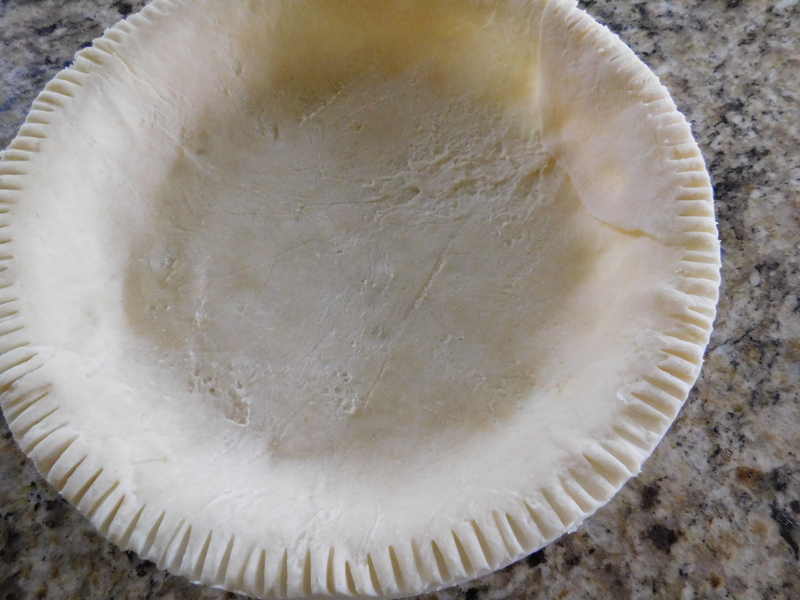 Place pie pan on baking sheet so the pie doesn’t overflow and make a mess on the bottom of your oven. Bake at 350 degrees for 45-50 minutes, or until crust is golden brown. Have a pie crust made and ready to go. I used Grandma’s recipe for Never Fail Pie Crust. 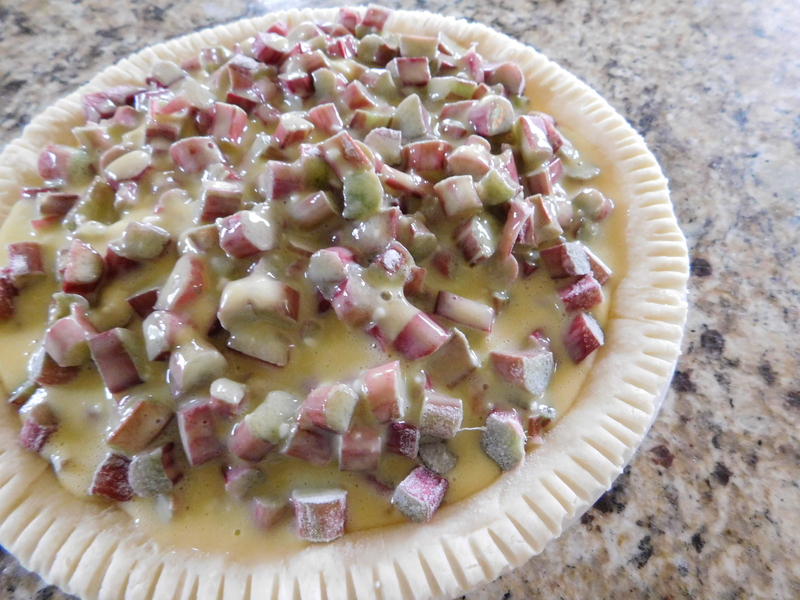 There are 2 parts to this filling – first the rhubarb with the dry ingredients, and then the eggs and sour cream mixture. 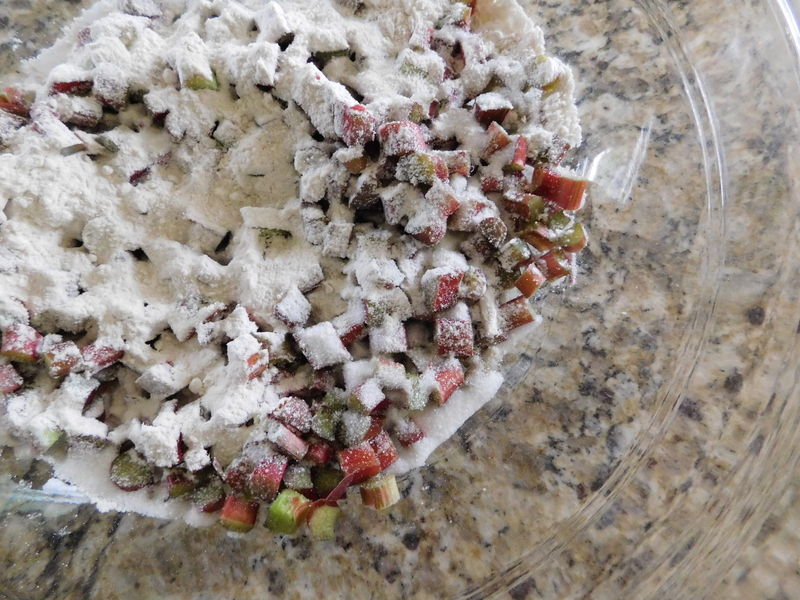 Before and after baking – you can see how it really does make a custard-like filling, and look at how loaded with rhubarb it is! This is another beautiful and delicious pie to share with family and friends. I have never made this one before, since I didn’t even know it was on the back of another recipe, but it’s easy and very delicious. The taste is less sweet than some other pie recipes, and the family liked that. The taste of the rhubarb really comes through because it IS less sweet. It’s very nice. 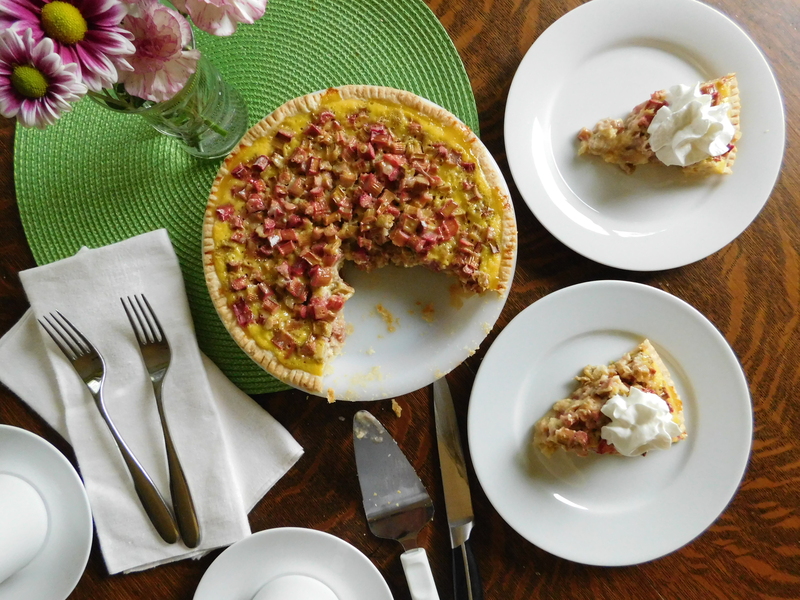 Try this Rhubarb Custard Pie, and let’s continue to enjoy rhubarb season as long as we can! Yum! 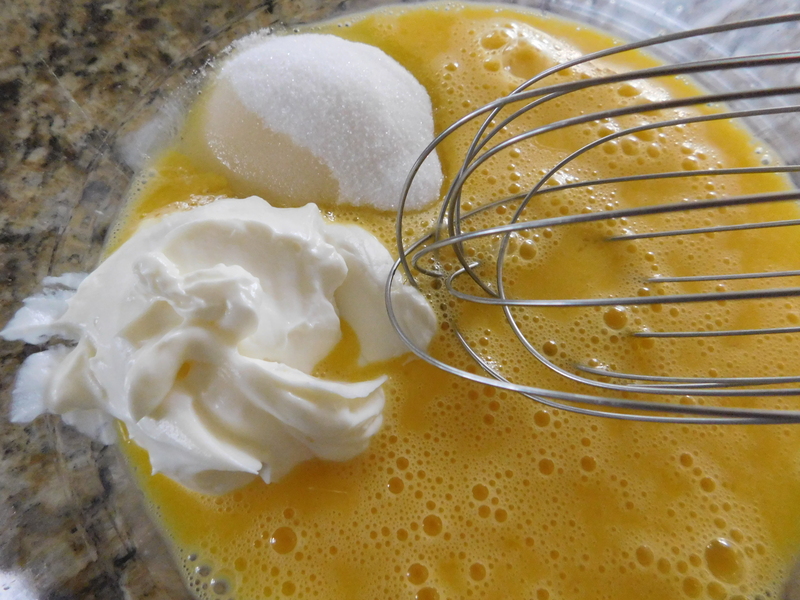 Love the script on the recipe – I have several from my grandmother that look very similar. What a neat step back in time! Thank you so much for your comment! Yes – we’re so lucky to have these great time-tested recipes!